Home/Sikh News/1984 Anti-Sikh massacre case in which Congress leader Sajjan Kumar is accused from the Karkardooma Court to Patiala House Court. 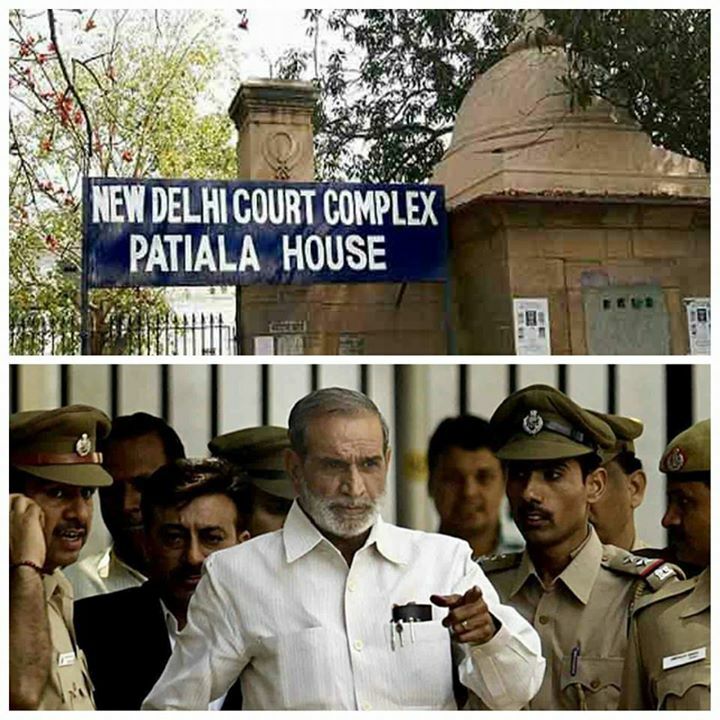 News Alert: The Delhi High Court on Monday transferred a 1984 Anti-Sikh massacre case in which Congress leader Sajjan Kumar is accused from the Karkardooma Court to Patiala House Court. Justice Siddharth Mridul said the trial will begin from 8 December 2015 with the consent of all parties in the case. The court was hearing a case filed by complainant Joginder Singh and prosecution witness Sheela Kaur, seeking transfer of the case from District and Sessions Judge Kamlesh Kumar to any other competent court. The petitioner also withdrew the allegations made against the judge. The victim’s counsel H.S. Phoolka had said that trial court Judge Kamlesh Kumar on 10 September 2015 did not record the statement of witness Kaur in a “correct sense”. Phoolka had said that many times the special public prosecutor raised objections to what was being recorded, saying it was not the correct version of what was stated by the witness. He had said the transfer of the case was imperative to meet the ends of justice and for a fair and impartial trial. Sajjan Kumar, Brahmanand Gupta and Ved Prakash are facing trial in connection with the killing of Sikh men in Sultanpuri in west Delhi during the massacre of Sikhs in November 1984. The court framed various charges, including those of murder and rioting, against them. The CBI filed two chargesheets against Sajjan Kumar and others in January 2010 in cases registered in 2005 on the recommendation of the Justice G.T. Nanavati Commission that probed the sequence of events leading to the massacre.